The prosperity of a country depends upon its economic activities. Like any other sphere of modern socio- economic activities, to banking is a powerful medium of to ringing about socio- economic changes of a developing country. Agriculture, commerce, & industry provide the bulk of a country’s wealth, without adequate banking facility these there cannot flourish. For a rapid economic growth, a fully developed banking system can provide the necessary boost. The whole economy of a country is linked up with banking system. The function of the bank are now wide & diverse of all the function of a modern bank, lending is by far the most important. All that a banker always deals in credits know it. He is a credit receiver (the deposits) and a credit giver (the loans & advances) banker mobilizes the small & scattered savings of the community and makes them available for investment in productive purposes. Commercial banks are profit-making institutions for which they have to ensure better asset quality. The strength of a bank is primarily judged by the soundness of its advances, thus the advances must permit the changing of a reasonable time and without undue difficulty. Successful lending depends upon sound judgment and accurate knowledge of the character and credit worthiness of the borrower. Credit comes from a Latin word “credo” which means, “I trust” i.e. moneylenders trust the borrowers to pay them back. In terms of bank, bank trusts its borrower that they will repay the loan as per terms & conditions. Accordingly, before allowing credit bank should have confidence in the borrower’s ability and willingness to repay the loan. Because all lending involves some degree of risk and it is necessary for any bank to keep the risk to a minimum. Thus, the banker before making an advance must consider its safety liquidity & profitability, for which proper & good selection of borrower is necessary. To provide an overview of the existing loan product and services offered by City Bank’s credit division. To know about the requirement, procedure to get a loan, repayment system and customer attitude towards it. To evaluate the credit performance of the bank. To identify strength and weakness as well as different Ratios analysis of City bank Ltd.
To offer pragmatic suggestions for the improvement of their credit performance. This study covers the details of The City Bank’s practices about credit management activities emphasizing the approval and monitoring process. This report consists of my observations in the credit departments of Principal Branch of the City Bank Limited. The study mainly emphasizes the sequential activities involved in credit approval process, analytical techniques used by The City Bank for credit analysis as an essential part of the credit activities. The study also focuses on the loan monitoring techniques adopted by The City Bank Limited both in pre-sanction and post- sanction period of a credit. The study compares between the various sections of credits. Finally, the study incorporates an evaluation of the different aspects of the credit activities and monitoring techniques and makes some recommendations about it. Annual report of The City Bank Ltd. The organization of the report is based on five chapters. In the first chapter I introduced about the topic of the report, its scope, preparation methodology, limitations of the report, a glance of City bank Ltd. And its product generally offered to the customers. The second chapter described about the term credit, credit risk management division, products of credit division, credit policies and practices, documentation of loan, securities, loan handling, credit processing steps etc. In third chapter I have included the credit performance of CBL, and its ratio analysis. In the fourth chapter there is SWOT analysis and comparison with other banks. In the last chapter there are findings of the report, recommendations and conclusions. From the intention to make the report realistic and properly accepted this report has been conducted. However, many problems appeared in the way of conducting the study. All the given information is not fully complete. Some of the information is company secret and important and only provided to some persons to know about it. Lack of in-depth knowledge and analytical ability for writing such report. Another limitation of this study is bank’s policy of not disclosing some data and information for obvious reason, which could be very much useful. In case of the secondary data collection, there were very few secondary information was available. There were few supporting books, report, journals etc. Lack of experience to analyze data. Time limitation is also a big factor, which hinders the data collection process. Due to time limitation many aspects could not by discussed in the present study. Poor conception of the discussed group was another severe problem that created a lot of confusion regarding verification of the conceptual data. In some cases more than one person were interviewed to clarify each concept. City Bank is one of the oldest private Commercial Banks operating in Bangladesh. It is a top bank among the oldest five Commercial Banks in the country which started their operations in 1983. The Bank started its journey on 27th March 1983 through opening its first branch at B. B. Avenue Branch in the capital, Dhaka city. It was the visionary entrepreneurship of around 13 local businessmen who braved the immense uncertainties and risks with courage and zeal that made the establishment & forward march of the bank possible. Those sponsor directors commenced the journey with only Taka 3.4 crore worth of Capital, which now is a respectable Taka 330.77 crore as capital & reserve. Under a real-time online banking platform, these 4 business divisions are supported at the back by a robust service delivery or operations setup and also a smart IT Backbone. Such centralized business segment based business & operating model ensure specialized treatment and services to the bank’s different customer segments. The bank currently has 88 online branches and 10 SME service centers and 1 SME Agro center spread across the length & breadth of the country that include a full fledged Islami Banking branch. Besides these traditional delivery points, the bank is also very active in the alternative delivery area. It currently has 77 ATMs of its own; and ATM sharing arrangement with a partner bank that has more than 550 ATMs in place; SMS Banking; Interest Banking and so on. It already started its Customer Call Center operation. The bank has a plan to end the current year with 100 own ATMs. 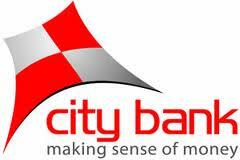 The City Bank Limited launched several financial products and services since its inception. 2.1 What does the term Credit mean? Lending is fundamental precept of banking every there that advances are made to customer in reliance on his promise to repay, rather than the security held by banker, Security is required by bankers as a protection against unquoted default in repayment by the customer. Thus, the object of both eternal on internal control is to ensure the employment of bank fund in a profitable manner without under risk of loose to the capital. Bank credit plays a dominant role in economic development of a country. Long run and sound credit policy of a country is the precondition for its economic development, and existence of sound credit policy is inevitably linked with timely recovery of loans. In 2009, Credit Risk Management division (CRMD) has taken lot of initiatives to protect the interest of the Bank from the credit risk perspective. Credit risk at CBL governed by Credit Policy Manual (CPM) which was amended according to the business needs as well as risk management is concerned. Promote continuous on the job local and overseas training. b) Corporate loan = Big company/organization are including here. c) SME loan = Small/Medium entrepreneur are including here. Salaried Executives Salary certificate/ LOI /pay-slip signed by branch managers/manager accounts/HR/Admin/Finance/ or any other authority acceptable to CBL.Bank statement, TIN & passport copy/photo ID Salary certificate /LOI /pay-slip/bank statement not required where the Customer’s salary account is maintained by bank. Sole proprietorship Trade license, last 6 months bank statement, & passport copy/photo ID and TIN.Bank Statement for last 6 months.Sole-Proprietorship Account Income documentation requirements may be waived for the existing loan customers if customer’s income recorded with us covers additional exposure on credit card. City scholar is a unique education loan offered to fund higher studies not only in Bangladesh but also abroad. It offers up to 95% of you fixed deposit value as student loan or up to tk.10 lac on purely collateral-free basis. A guarantor can provide personal guarantee not exceeding maximum exposure of the product ceiling and creditability. 3) City Express:-Customer FDR which deposited in this bank, is treated as his/her Securities/Guarantee. In addition, he/she can takes as loan 90% of FDR amount. 4) City Credit Card:-No guarantor is required, only a reference is required. Secured overdraft facility –value can be up to 95% of the security deposit. This education loan is designed to meet any type of educational financial need of a student. Any creditworthy individual can avail this loan facility for his/her offspring or for himself/herself. Unsecured loan for up to Tk. 10 Lac payable in Equal Monthly Installments (tenor ranging from 12 to 60 months). Any credit worthy individuals like: salaried executives, professionals like doctors, architects, engineers, chartered accountants, consultants, IT professionals and businesspersons etc. can apply for this loan. At first branch provides a sanction advice including all terms & conditions asking their opinion. When the party agreed, send a reply. As per the terms & conditions, the party submits all documents. After collecting the documents, bank submits it to the lawyer for the purpose of registration. After getting his/her permission, the bank then register the document. At this stage the bank, require a permission mentioning that all necessary activities are completed. After getting the permission, the party opens an account in the name of loan. Know Your Customer:Know your Customer (KYC) is the most important guiding principle of The City Bank Ltd. for extending credit facilities to its prospective borrowers. Complying with this principle helps the bank to avoid money laundering crime and adverse selection of borrowers. The repaying capacity and willingness of the borrower to repay the loan with interest. Liquidity: It refers to ability of an asset to be converted into cash without loss and within a short time to meet depositor’s demand for cash. Profitability: The City Bank Ltd. must employ its fund in such a way that they will bring adequate return for the bank, which should be more than cost of the funds. Purpose: The purpose for which The City Banks will provide loan should be productive so that the money not only safe but also provides a definite source of repayment. Spread: It refers to the diversification of advance. So far, The City Bank Ltd. could maintain considerable margin on its disbursed loan but recently Bangladesh Bank has imposed restriction on lending rate and to comply with Bangladesh Bank policy guidelines, The City Bank Ltd. lowered its lending rate. To ensure that all security documentation complies with the terms of approval and is enforceable. To control loan disbursement only after all terms and conditions of approval have been met, and all security documentation is in place. To maintain control over all security documentation. To monitor borrower’s compliance with covenants and agreed terms and conditions, and general monitoring of account conduct/performance. To minimize credit losses, monitoring procedures and systems should be in place that provides an early indication of the deteriorating financial health of a borrower. Past due principal or interest payments, past due trade bills, account excesses, and breach of loan covenants. Loan terms and conditions are monitored, financial statements are received on a regular basis, and any covenant breaches or exceptions need timely actions. An Early Alert Account is one that has risks or potential; weaknesses of a material nature requiring monitoring, supervision, or close attention by the management. Moreover, regular contact with customers will enhance the likelihood of developing strategies mutually acceptable to both the customer and the bank. Determine Account Action Plan Recovery Strategy. Regular review of worse accounts. The system should define the risk profile of borrower’s to ensure that account management, structure and pricing are commensurate with the risk involved. Risk grading is key measurement of a Bank’s asset quality, and as such, it is essential that grading is a robust process. All facilities should be assigned a risk grade. It is recognized that the banks may have more or less risk grades; however, monitoring standards and account management must be appropriate given the assigned Risk Grade. i) Superior-Low risk 1 Facilities are fully secured by cash deposits, government bonds or a counter guarantee from a top tier international bank. ii) Good-Satisfactory Risk 2 The repayment capacity of the borrower is strong. The borrower should have excellent liquidity and low advantage. The company should demonstrate consistently strong earnings and cash flow. iii) Acceptable-Fair Risk 3 Adequate financial condition though may not be able to sustain any major or continued setbacks, but should still demonstrate consistent earnings, cash flow and have a good record of accomplishment. iv) Marginal-Watch list 4 Grade 4 assets warrant greater attention due to conditions affecting the borrower, the industry or the economic environment. These borrowers have an above average risk due to strained liquidity, higher than normal advantage, their cash flow and/or inconsistent earnings. v) Special Mention 5 In this, grade assets have potential weaknesses that deserve management’s close attention. If left uncorrected, these weaknesses may result in a deteriorating of the repayment prospects of the borrower. vi) Substandard 6 Financial condition is weak and capacity or inclination to repay is in doubt. These weaknesses jeopardize the full settlement of loans. Still may not be considered non-performing as the correction of the deficiencies may result in an improved condition and interest can still be taken into profits. vii) Doubtful and Bad (Non performing) 7 Fill payment of principal and interest is unlikely and the possibility of loss is extremely high. However, due to specifically identifiable pending factors, such as litigation, liquidation procedures or capital injection, the asset is not yet classified as loss. Loan loss provisions must be raised against the estimated unrealizable amount of all facilities. viii) Loss (Non performing) 8 Assets under this category are long outstanding assets with no progress in obtaining repayment or in the late stages of wind up liquidation. The prospect of recovery is poor and legal options have been pursued. The proceeds expected from the liquidation or realization of security may be awaited. The continuance of the loan as a bankable asset is not warranted, and the anticipated loss should have been provided for. Loans and Advance of the bank as on December 31, 2009 stood at BDT 43,486 million compared to BDT 34,4201 million of previous years reflecting a staggering growth of 26%. This growth was the result of the strong drives undertaken by the bank’s C&I and SME divisions with strong focus on good names, strong credit risk and good security structure. We can see that, here in 2009 Large and Medium Industries, Small and Cottage Industries, Transportation and Communication Industries sector are allotted more amounts from 2008. On the other hand, Agricultural Industries, Commerce and Trade Industries, Insurance, Real Estate and Service Industries sector are fewer amounts fixed. In the year 2009 highest amount have been allocated to the Large and Medium Industries. The table shows that, the yield on loans and advances in 2009 is 13.07% compared to 13.50% in 2008 which shows a decreasing trend. But from 2004 to 2008 there is an increasing tendency in loans and advances. By analyzing price earning ratio we see the bank’s stock valuation and the income the bank is actually generating from each shares. The higher the price earning ratio becomes, the better the condition of the company. We see that in 2008 the P/E ratio was 17.82 which decrease in 2009 become 14.00; which mean that in 2009 the company didn’t generate income compared to 2008. But from 2005 to 2008 there is a increasing trend in P/E ratio which shows the better financial condition of the bank. The net profit margin indicates that how much the bank keeps in earnings against its sales. The higher the profit margin indicates a more profitable company that has better control over its costs compared to its competitors. The net profit margin is 18.74% in 2009 in compared to 2008 which was 11.78%. The increasing profit margin shows the better condition of the bank. The higher return on asset shows that the company is well run and has a healthy ROA. Here from 2006 to 2009 the ROA is gradually increasing which shows that the bank is running well. The return on equity is an important ratio to decide whether to invest in a company or not. It measures the return on the money the investors have put into the company. Here the ROE in 2009 is 16.24 compared to 2008 11.23%; which shows a good return of the investors money. The debt ratio measures that how much a bank is dependent on others capital. Lower the percentage, the less leverage a company is using and the stronger its equity position. In general, the higher the ratio, the more risk that company is considered to have taken on. In 2009 the debt ratio is 92.33% which shows a risky situation of the bank. Loan Amount Minimum Tk. 50,000/- and Maximum Tk. 10 lac or 12 times of gross monthly income, whichever is lower. Minimum Tk. 50,000/- and Maximum Tk. 10 lac or 10 times of gross monthly income, whichever is lower. Minimum Tk. 50,000/- and Maximum Tk. 10 lac or 6 times of gross monthly income, whichever is lower. Minimum Tk. 50,000/- and Maximum Tk. 10 lac or 12 times of gross monthly income, whichever is lower. Minimum Tk. 50,000/- and Maximum Tk. 10 lac or 12 times of gross monthly income, whichever is lower. Loan Amount Minimum Tk. 50,000/- and Maximum Tk. 10 lac or 12 times of gross monthly income, whichever is lower. Minimum Tk. 2 lac and Maximum Tk. 20 lac or 10 times of gross monthly income, whichever is lower. Minimum Tk. 1 lac and Maximum Tk. 20 lac or 8 times of gross monthly income, whichever is lower. Minimum Tk. 3.5 lac and Maximum Tk. 20 lac or 15 times of gross monthly income, whichever is lower. Minimum Tk. 2 lac and Maximum Tk. 20 lac or 15 times of gross monthly income, whichever is lower. The City Bank Limited has been performing very well. The CBL is running with steady growth in almost every sphere. They are reducing non-performing loan. They are committed to be a leading Bank in Bangladesh. No doubt, this is the sign of good management. However, the appraisal and proposal system of The City Bank is said to the best one in this kind certain factors are overlooked. The product appraisal is done on the customer base not any comparison is done with other product. The supplier’s influence is overlooked. Due to the unavailability the credit demand assessment is not properly done. Modern Commercial Banking is challenging business. It was revealed from the above presentation that in 2005 Bank has achieved remarkable success in various financial activities as well as in bank’s business. During the year under report, Bank has earned commendable operating profit and attained capital adequacy. Substantial amount has been recovered from classified loan because of appropriate action in this regard. For significant performance, the bank has earned National and International recognition. The City Bank Limited was one of the 12 Bangladeshi Banks among the 500 Banks in Asia for its assets, deposit and profit as evaluated by “Asia weak” in the year 2000. Besides that bank received “Top Ten Company Award” from the Prime Minister of the Peoples Republic of Bangladesh in the year 1992-93 which was declared by Securities and Exchange Commission. And recently, City bank wins The Asian Banker “Strongest Bank in Bangladesh – 2010” Award. Also City Bank MD & CEO K Mahmood Sattar wins The Asian Banker “Leadership Achievement Award 2010”. From the above findings and discussion, we can see that, The City Bank now in good position compared to previous some year. However, the bank can be more improved in its position, if it gives more concentration in its credit-monitoring sector. The way of this, I already discussed. Such as-Loan monitoring is a continuous task and requires expert work force. Therefore, it is suggested that The City Bank Ltd should set up a separate loan-monitoring cell, which will be responsible for monitoring its total loan portfolio with special care to the problem loan. Moreover, at the branch level, credit department must be adequately capable of collecting the correct and relevant information and analyzing the financial statements quickly and precisely. To faster the lending process, The City Bank Limited should facilitate online loan application submission and personal credit processing. The bank should give importance in general welfare of the economy more than many other financial institutions. The bank should redesign all sorts of banking procedures to be more user-friendly, attractive and impressive.